I'll start with the youngest. Lily- She is doing very well in school and almost never needs to be reminded to do her homework. She is very responsible and is my best helper here at home. She is very willing to help with dinner, dishes, vacuuming, pretty much anything I ask her to do. Except clean her room. She really does NOT like to do that. It's her Achilles heel. She is also playing softball which she enjoys, but unfortunately has missed several games and practices because of her tonsils. Have I mentioned her tonsils? They are enormous and disgusting. She is having them removed on the 5th of July and we can't wait because they are ridiculous. Ethan- This boy has been on cloud nine because his favorite person in the world, Uncle Taylor, has been visiting for the past two weeks and when Taylor is here, we rarely see Ethan. But Taylor is leaving today, so Ethan will have to resume regular life with his family. Also, Ethan started football practice yesterday. Without telling me about it. He didn't show up after school and I searched and searched and searched for him and finally at about 4:15, just before I was about to report him missing to the police, I found him at football practice. In related news, his coach thinks he has serious potential as a wide receiver. I, however, never want to let him leave the house again. Sheesh! Jocelyn- This is the part where all we talk about is sports. Jocelyn just finished varsity softball, playing first base and loving every minute of it. Softball is her sport. I'm pretty sure she dreams about softball. Her team made it to districts and did well, and we are looking forward to two more years of watching this team grow. Yesterday she started summer basketball and will play in some series and tournaments beginning next week. Tonight she starts summer softball, and her first game will be next week as well. If you are ever looking for her this summer, she'll either be on the softball field or the basketball court. Madeline- She is just a few days shy of finishing her first year of Cosmetology and she really enjoys it. She will be continuing her Cosmo education through the summer which will really limit the amount of "fun" and "entertainment" she gets to enjoy this summer, but she is grateful for the opportunity and realizes what an advantage this will be in her life. She finished up her Junior year playing tennis and will now start summer softball with Jocelyn, her best friend in the whole world. I think they are pretty excited about it. Marilyn- If you've made it this far, then you realize how I spend my time. Driving to and from sports, watching sports, signing kids up for sports, hearing about sports, etc. I'm glad that my kids enjoy playing outdoors and staying active, so I'm not complaining. Lately, I've been playing a lot of piano, reading, helping Brandon with the Tough Rhino stuff and failing to stay caught up on the housework. I'll just keep at it though. 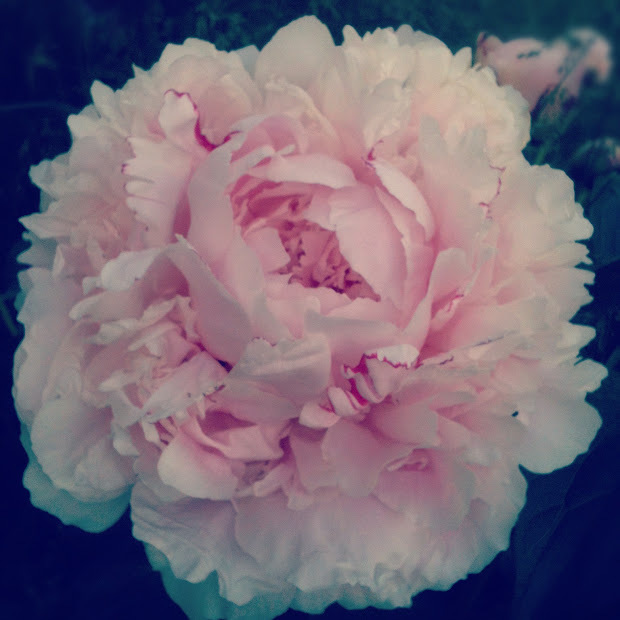 One thing I'm really happy about is that my peonies are blooming. They're so pretty. Brandon- More sports. He has been really, crazy busy with Tough Rhino preparations which will be held June 9th. There are almost 700 people signed up for this race so far and we fully expect it to reach 1000. It's a massive undertaking and they've started building the obstacles which is really exciting. Our community is super pumped about the Tri-Cities first ever mud run obstacle course, and I am really proud of him and the work he has put into this race. Besides all of that, he has been preparing for a race he did this past weekend. It was a 200 mile ultra. I'll post more about that soon, but he finished it in 62 hours and it was by far the most emotionally up and down race he's ever done. Blueberry harvest will begin in about three weeks and so he's busy on the farm as well. He pretty much just goes and goes and goes, all day, every day. So that's a wrap up of our lives lately. I'll check back in soon!